How Far is Raam Heather Crest? 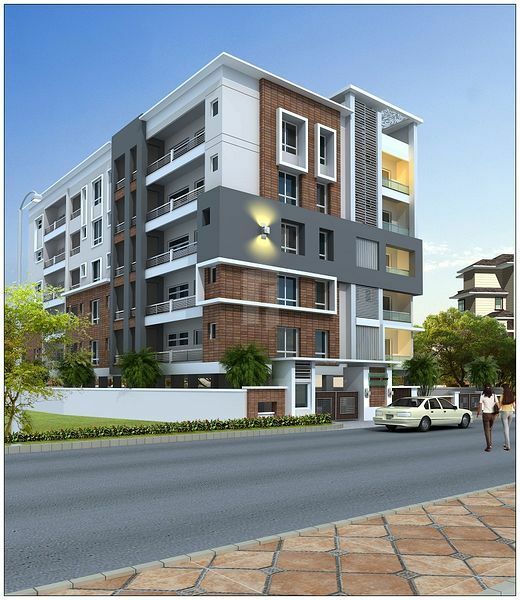 Raam Heather Crest is one of the popular residential projects that is located in Panjagutta, Hyderabad. 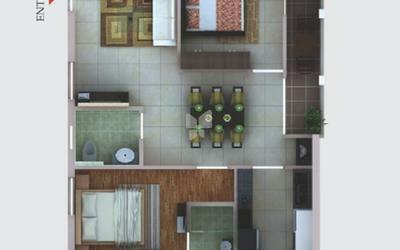 Developed by Raam Developers, this project offers thoughtfully constructed 2BHK and 3BHK apartments. It is situated close to the market, hospital and various educational institutions. FOUNDATION & STRUCTURE: RCC framed structure shall be designed and built taking due care of earthquake forces at safe bearing capacity of the strata. The structure shall be built with ready mix concrete of reputed manufacturers. BRICK WORK & PLASTERING: Cement Concrete blocks of 9” for External walls & 4.5” for internal walls. Internal, external and ceiling with double coat cement plastering. MAIN DOOR: Good Quality Teakwood frame and door Shutter with melamine polishing & necessary designer brass hardware fittings. INTERNAL DOORS: Teakwood frames and water proof flush door shutters with two side teak veneered with melamine polishing or laminated, necessary stainless steel hardware fittings. WINDOWS: UPVC windows with glass, grills, necessary hardware on Granite Patti with provision for mosquito mesh track. ELEVATION & EXTERNAL: Combination of texture, stone cladding and putty finish as per architectural design and two coats of waterproof paint over a coat of primer. INTERNAL: Smooth finish with wall putty, two coats of royal emulsion paint over a base coat of primer. PARKING AREA: Two coats of waterproof paint over a base coat of primer. DRAWING, DINING, LIVING, BEDROOMS AND KITCHEN: Vitrified tiles flooring with skirting and MASTER BEDROOM with wooden flooring of reputed make. EXTERNAL VISIBLE AREAS/ STAIRCASE: Mix of Granite & Marble flooring & skirting and MS/ SS railing, Lift area Cladding as per Architectural Designs. PARKING: Screed Concreting in combination of parking tiles with designer lying. And designer finish on exposed columns. KITCHEN: Glazed ceramic tiles/ Granite dado upto 2' height above kitchen platform. TOILETS: Glazed ceramic tiles dadoing with combination of Marble up to 7' height and matching floor tiles. UTILITY/ WASH: Glazed ceramic tiles dado up to 3'.9” height matching with flooring tiles. KITCHEN PLATFORM: Granite platform having steel/ Carysil sink. And hot and cold Wall Mixer, Provision for Municipal water, bore well water and water softening systems. TOILETS: All toilets consist of Dry Area & Wet Area, Granite Counter for washbasin, and Shower Enclosure with glass panel wherever space permits, Hot and cold diverters, Wall Hung WCs (concealed flush tank where space permits), Solar Water heating system & Provision for geysers in all toilets. Concealed copper wiring in conduits for lights, fans, power plug points wherever necessary. Power outlets for air conditioners in all bedrooms, living and dining. Power outlets for geysers in all bathrooms. Power plugs for cooking range/ chimney, refrigerator, microwave oven, mixer/ grinder in kitchen, TV and audio system etc., wherever necessary. Individual meter board, miniature circuit breakers (MCB) and ELCB for each distribution board. AIR-CONDITIONING: Split AC provisions with prefix copper piping in all bedrooms, living and dining. TELECOM: Telephone points in all bedrooms, drawing and living areas. Intercom facility with video door phones. CABLE TV: Common Dish antenna provision, connecting with concealed cables to all bedrooms, living rooms. LIFT: Standard make automatic doors with V3F technology for energy efficiency. GENERATOR BACK UP: 100% back-up including common areas (except ACs) and Solar Powers system for common areas lighting. WATER SUPPLY: ISI marks GI/ CPVC piping executed by professional plumbers. DRAINAGE: ISI mark CI/ PVC sanitary piping. For common: Borewell with submersible pump, sufficient capacity of Sump and Overhead Tank, Municipal Water connection, Electrical Transformer, Watchman Room, servant toilet. Note: Anything other than the above specifications will be charged extra and also prior intimation should be given by the client in writing. Otherwise, the construction will be preceded accordingly with the above specifications and architect’s plan.